Hydrogen and fuel cell products are ready now. As with many new technologies, there is an urgent need to educate potential users so that they can make well-informed choices. 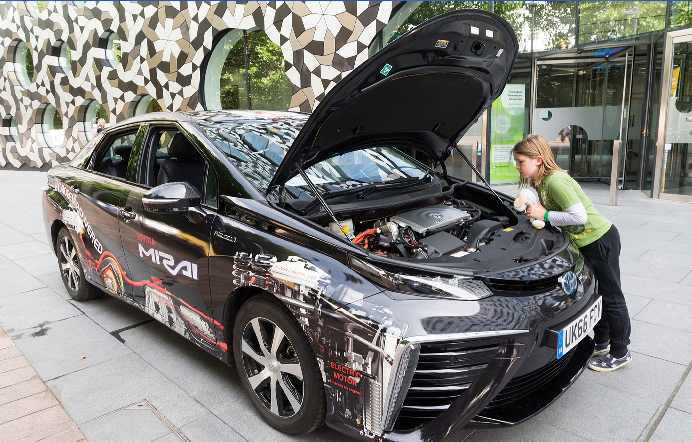 Arcola Energy has been involved in hydrogen fuel cell education for over 10 years, delivering hands-on learning to more than 40,000 young people from Aberdeen to Abu Dhabi to Jakarta. In 2017 we initiated plans to scale this work worldwide. The programme is being developed with leaders in industry, government and education to deliver effective engagement with whole populations, achieved by demonstrating vehicles and in parallel engaging young people in hands-on activities to learn about hydrogen and fuel cells in a way which inspires everybody. By 2020 we aim to be delivering the programme globally, providing hands-on activities supported by online and social media engagement, with reach into schools, homes, universities, workplaces and public events. This website provides some background on previous activity, future plans and our esteemed partners. We welcome you to get involved.